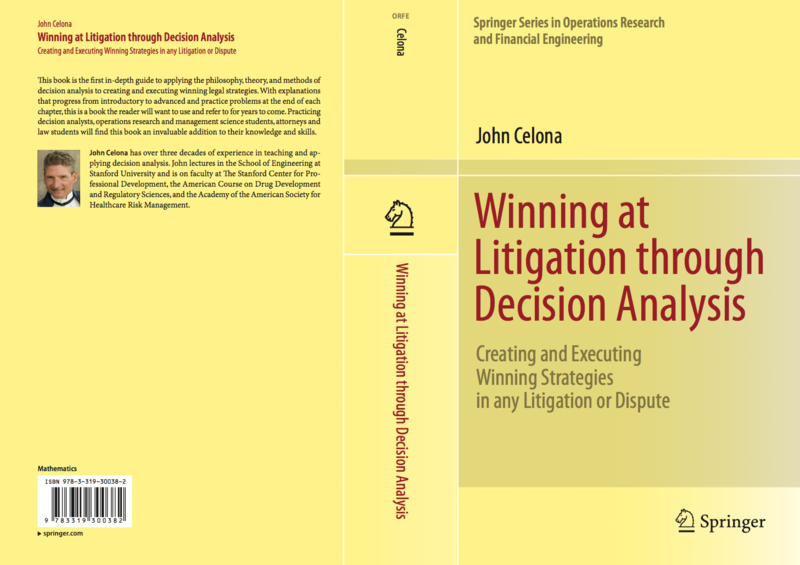 I am very pleased to announce that my new book, Winning at Litigation through Decision Analysis, is finally out and available. It is published as part of the Springer series in operations research and financial engineering. People with an interest or background in decision analysis who want to apply it to litigation, disputes, and negotiation. Attorneys who want to achieve better results for their clients through applying decision analysis. Anyone who wants a complete introduction and exposition on how decision analysis works and how to apply it in problems ranging from simple to very complex. Thanks very much to my longtime teacher, mentor and friend Professor Ronald A. Howard of Stanford University for writing the Forward to this work, and to Dr. Peter McNamee for all the guidance he provided me with over the years and for this work. This book is available in hardcover and ebook both from Springer and from Amazon. Much thanks to my spouse and partner in life Bubba Gong without whose constant love, support, belief and counsel this work never would have come to fruition. 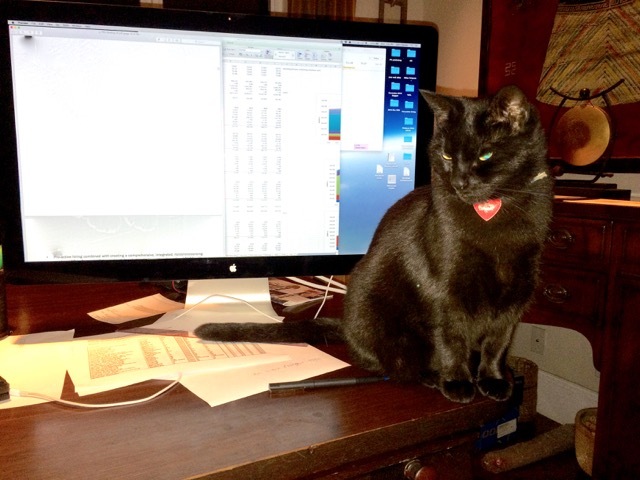 Lastly, thanks to CoCo Giselle for always being there to help me turn blank pages into a finished book.